Tires Presta Shop Blogger Template is amazing template for Online store, Shop Blogs, Amazon Blogs and more.. 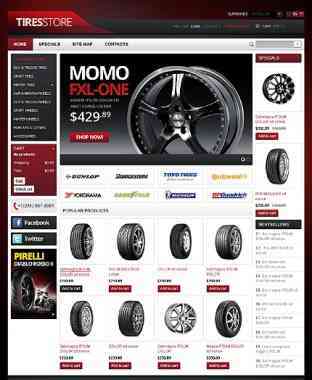 Feature of Tires Presta Shop Blogger template: Shopping Cart ready, buy buttons ready, Image Slider, feature Product, Ads ready, etc..
gan bisa gak yang mata uang dolar itu bisa di ganti dengan IDR? The theme looks really good. It looks pretty cool and very capturing. Maybe I'll try these for my sites.